Structured corporate communications for a world leading insurance business. Munich Reinsurance is a major player in the reinsurance industry based in Munich, Germany, with offices throughout the world. Firedog spent over five years as lead communications agency for the UK operation of Munich Reinsurance. 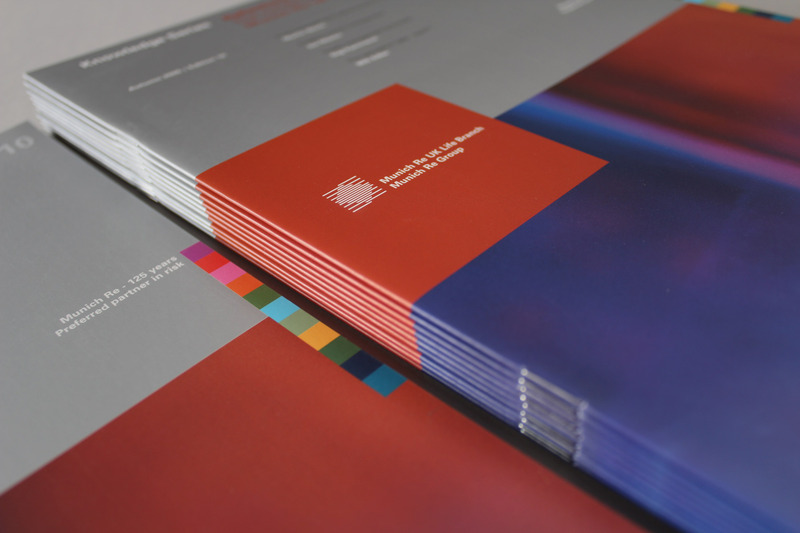 We produced a raft of communications design and print materials, from product specific brochures, to newsletters and partnership publications. We were very disciplined, creatively speaking, as we had to work diligently within the German global guidelines. 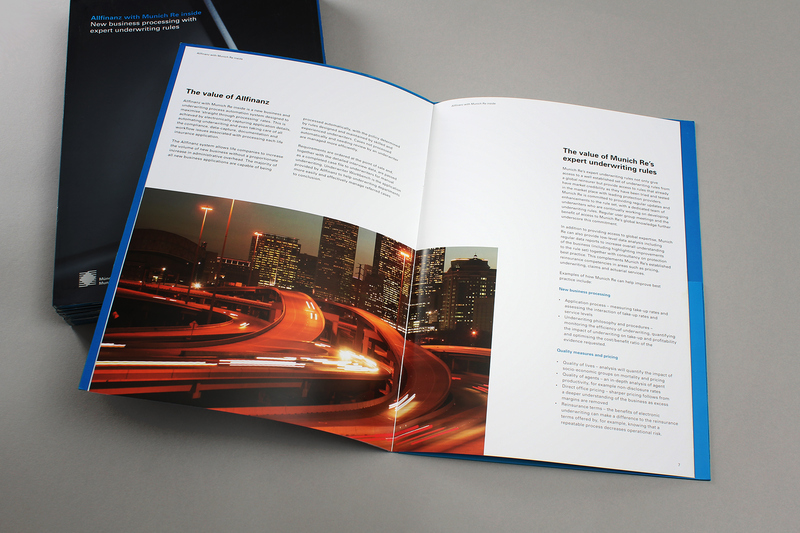 The publication was required to sit alongside other Munich Re communications. 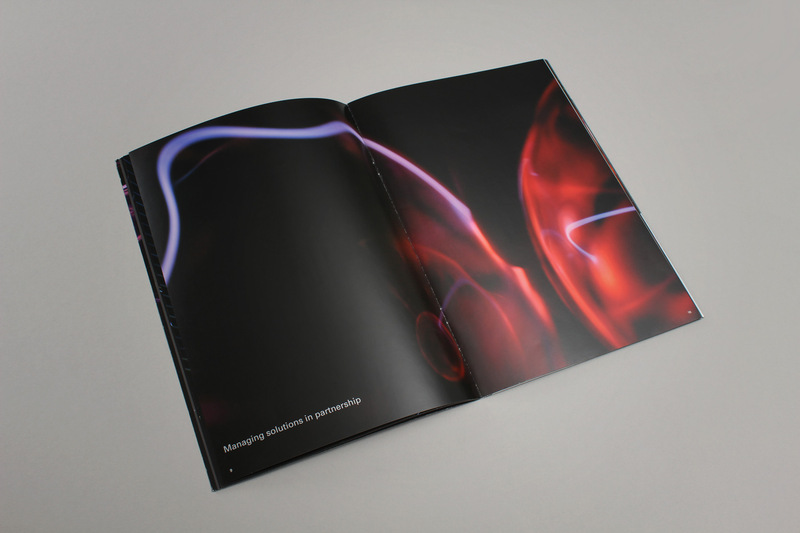 However, we created a strong point of difference by creating an abstract image led look and feel. The brochure contained a sibling insert which contained more variable information, such as staff biographies. 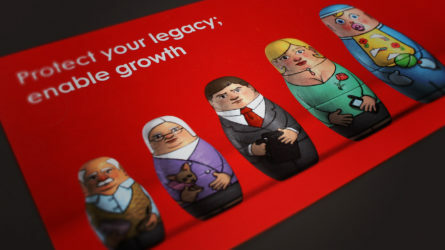 The images carry messages which convey the business values and propositions. Due to the creativity behind the shoot, we were able to retain interest throughout the 24 page publication. 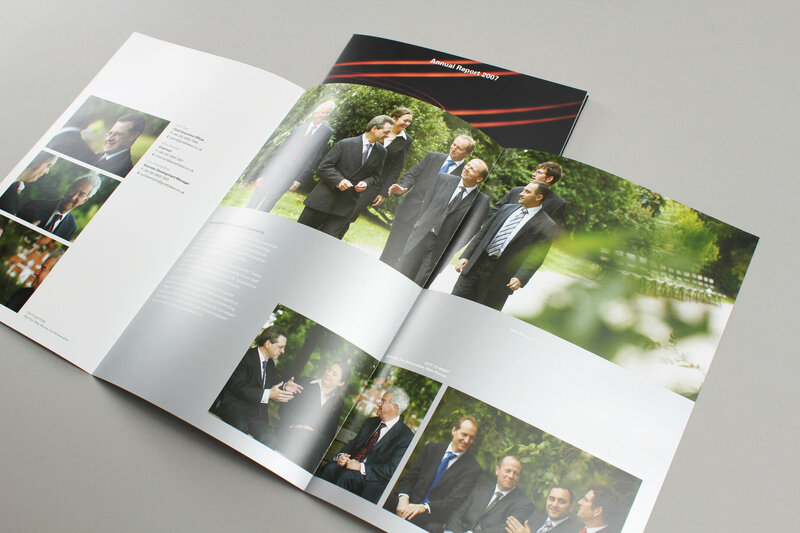 We wanted to create a lighter and more approachable image feel for the staff so we shot the subjects in Battersea Park. 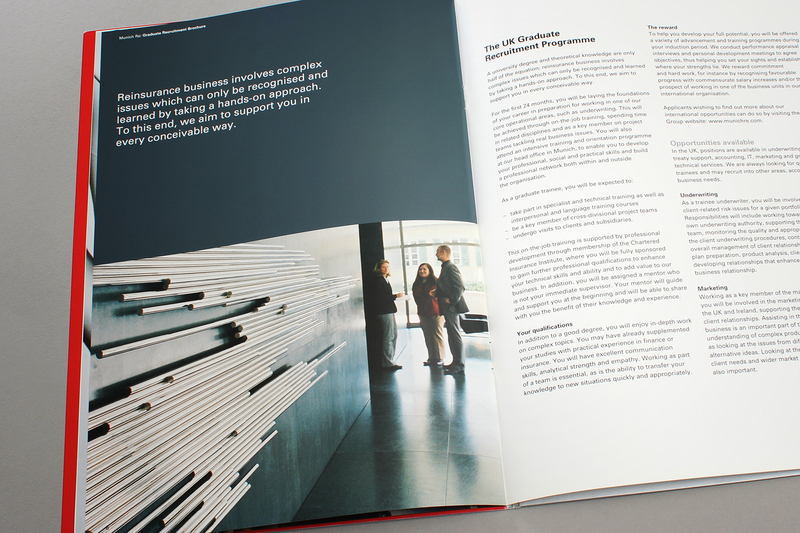 The brochure used imagery combined with a more formal and minimal text approach creating an business led publication. 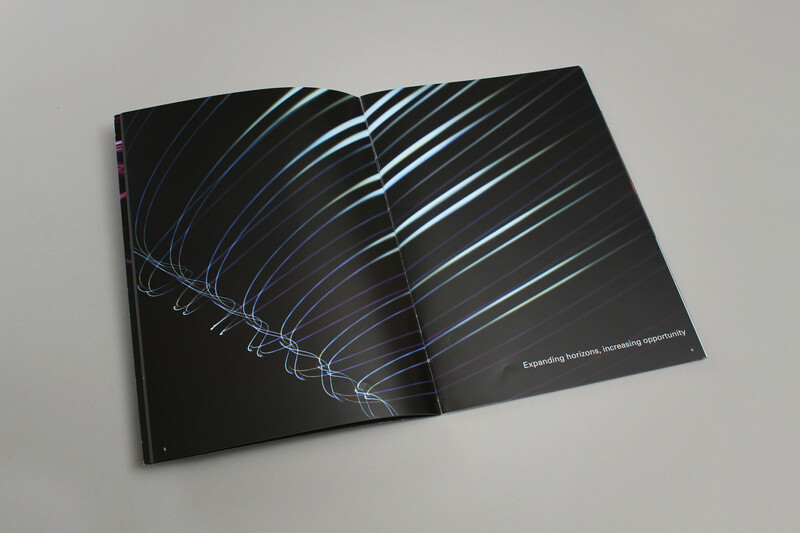 We created imagery around the concept of connectivity. Here a close up of a plasma globe. 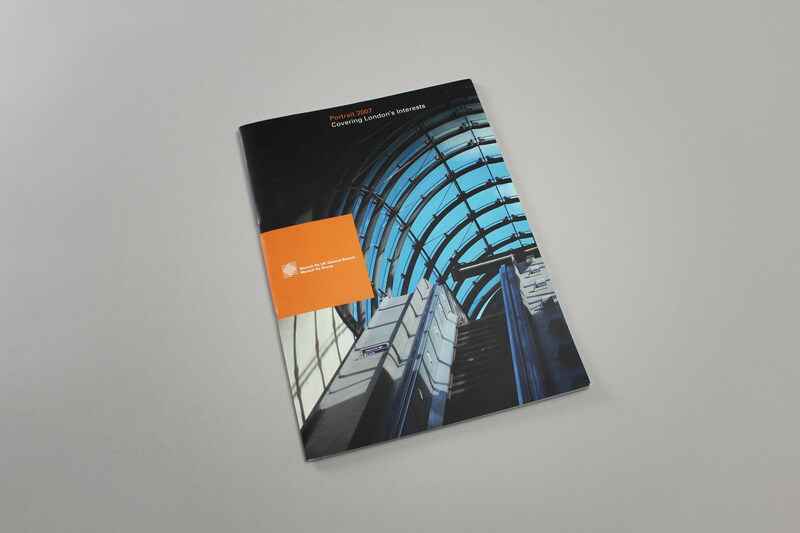 The brochure carried a pocket in the reverse so that it could be extensively used across the business. Due to the nature of the reinsurance business, a lot of the assets shown within the brochure would ultimately be covered by Munich Re. 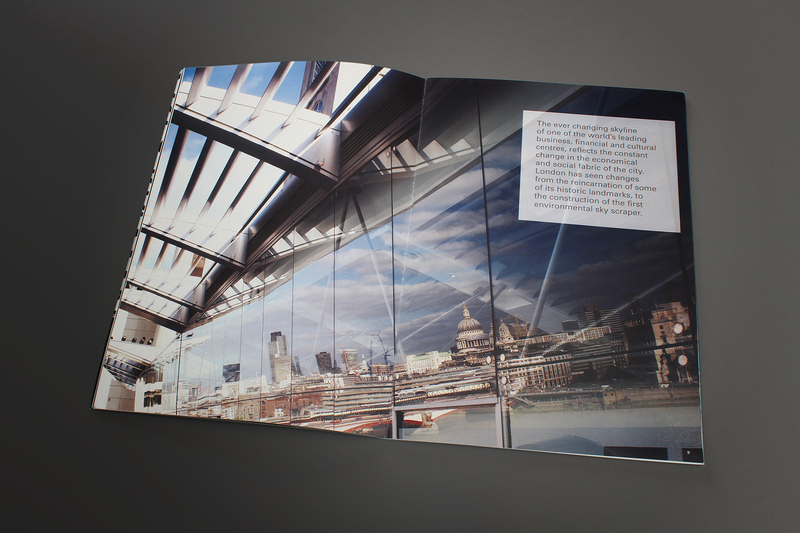 We used dynamic and famous roofing structures across London as a metaphor for the Munich Re business offer. We seeded more functional copy within this narrative, making sure to convey the core values of the business. The use of bold imagery and key statements enables the publication to raise interest amongst its readers. Along with the image, we provided little insights to the origins of the structures. 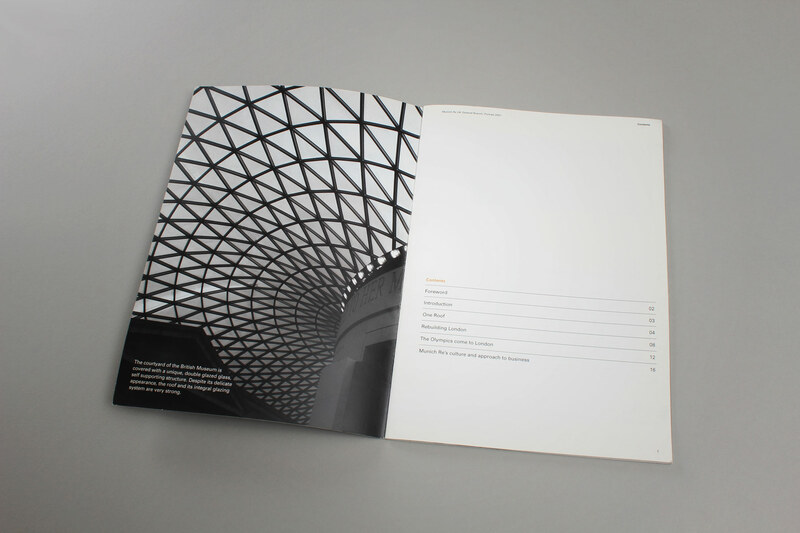 The design concept also neatly dovetailed into the formal publication guidelines that we were directed to work within. 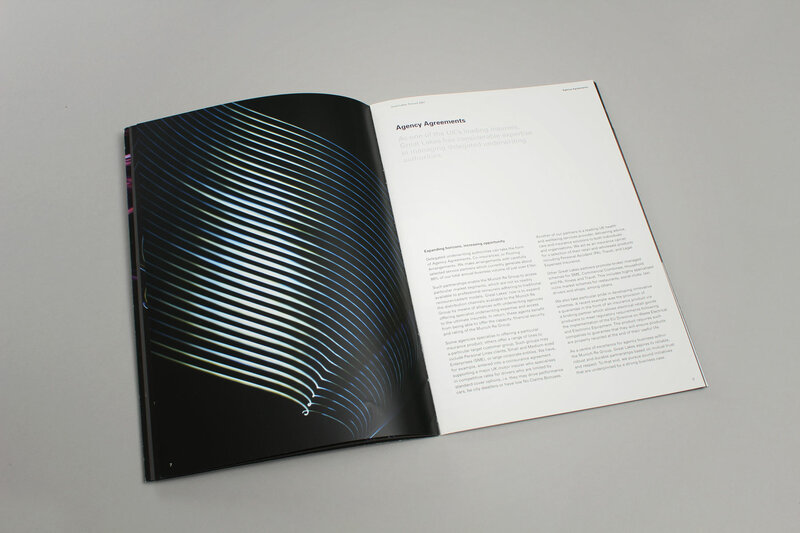 We used matt silver and bright imagery to convey a publication both contemporary and controlled. We released around a dozen editions of the primary publication, making sure we kept a keen eye on consistency and editorial style. We used large image areas in order to create interest. The imagery featured dynamic metaphors for tech evolution. The result is a brand partnership which fits with the greater visual identity. Great Lakes is a fully owned subsidiary of Munich Re Group and acts as a specialist provider of insurance services and the facilitator of insurance business. The business wanted to inject enthusiasm and passion into their Portraits brochure, and show the industry that they are an innovative company with a very distinct point of difference. Great Lakes were in a unique position of being a part of the Munich Re Group, and Firedog hinged the creative around that partnership. After a successful pitch for the brochure, Firedog presented a range of stunning concepts. A studio photographer was commissioned for a two day shoot to attain the light based imagery. 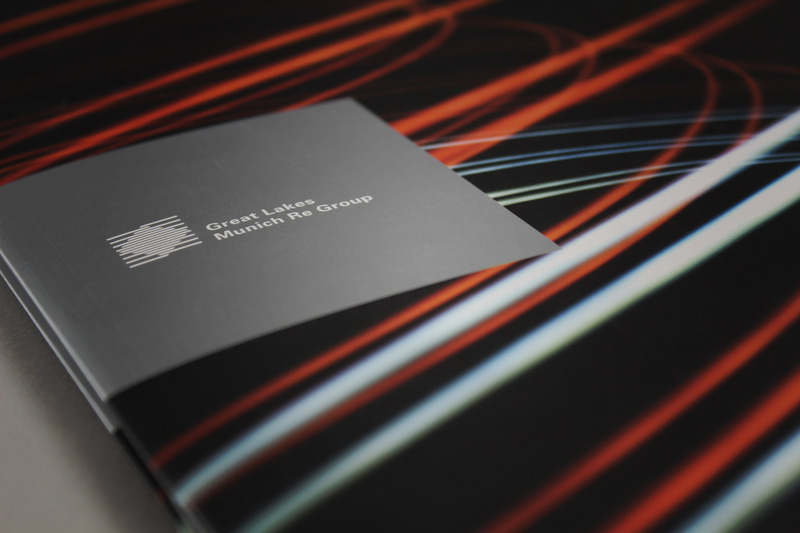 The chosen concept of transmission was a rendition of the communication which passes between the consumer and Munich Re through the services of Great Lakes. A studio photographer was commissioned for a two day shoot to attain the light based imagery. A number of different techniques were employed in order to generate light patterns across a varying series of art images. Props included everything from a toy lightsaber to a digital projection onto steel bars. For the portraiture imagery, we turned to Battersea Park in south London, for it’s warm and interesting lighting environment. The publication has launched Great Lakes firmly into the market creating instant recall and memorable brand recognition. In a somewhat dry and formal sector, the publication continues to draw attention and debate. A publication that not only informs the reader of Munich Re's capabilities, but also about handy little known facts of London's heritage. The purpose of the Munich Reinsurance General Branch Portraits Brochure is to allow Munich Re’s clients to understand who works in various departments and to give contact details for each person. 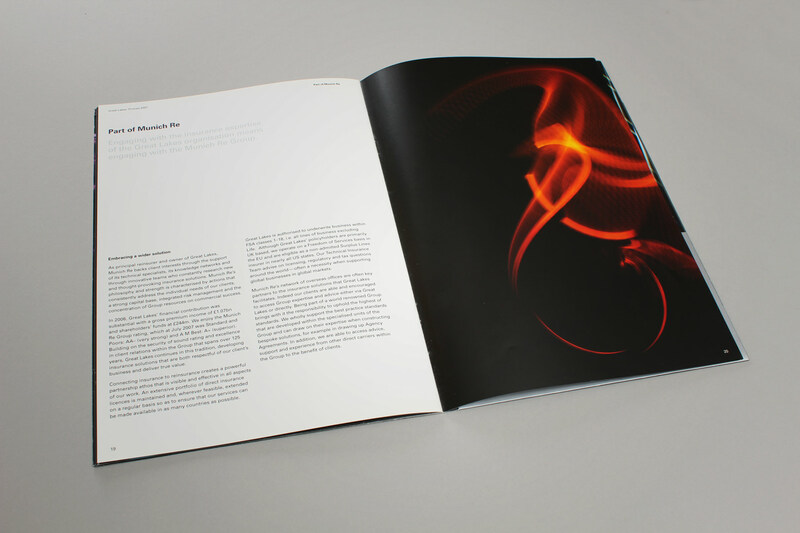 Firedog wanted to inject interest into the brochure and developed a strategy where the reader is engaged to read the brochure and also to hand it on to others. 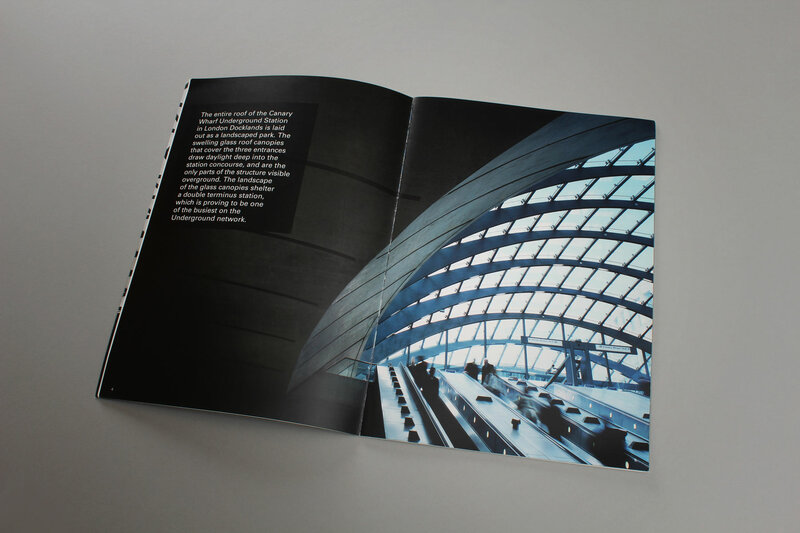 Firedog’s recommendation was to focus on locations within London that illustrated ‘coverage’ – this was a metaphor of how Munich Re covers the interests of their clients. We utilised famous London roof structures as a metaphor for insurance coverage. 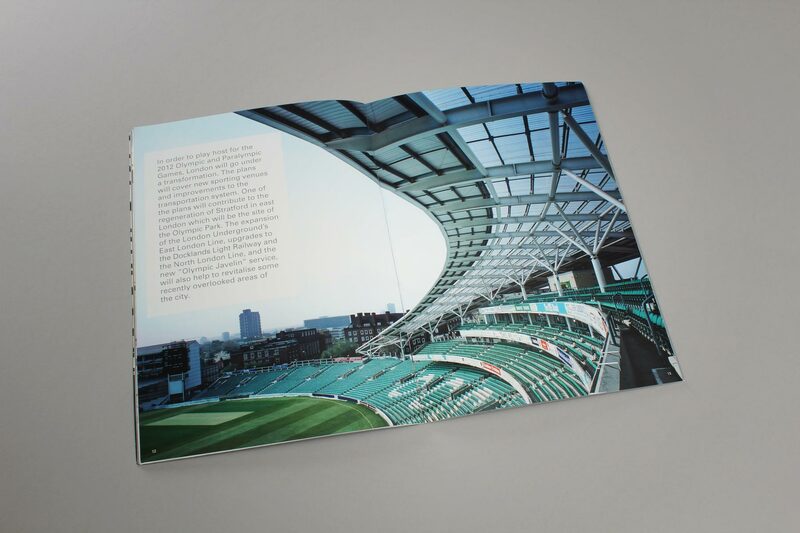 Combining location shoots and stock imagery, each location had informative insights into London many people may not already know, ensuring the brochure offered value to as wide a spectrum of people as possible. To add additional value to the brochure and draw attention to Munich Re’s present activities, Firedog recommended relevant and current topics such as the 2012 Olympics to give true value to the copy. The brochure was given longevity by the use of a pocket that kept the employee information. If this needed to be updated, it was a simple case of replacing an A4 data sheet rather than replacing the entire publication. The result is a formal yet engaging publication that not only informs the reader of Munich Re’s capabilities, but also about handy little known facts of London’s heritage. 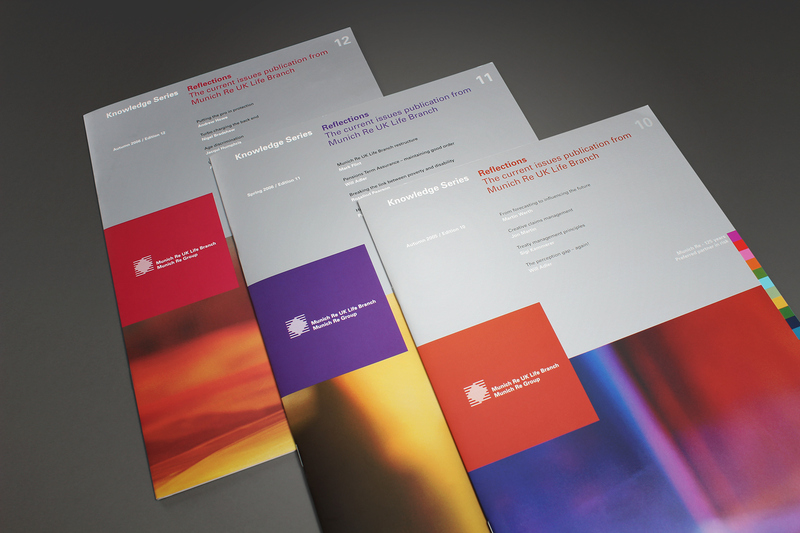 We injected a premium design feel into the Munich Re corporate communications publications family. 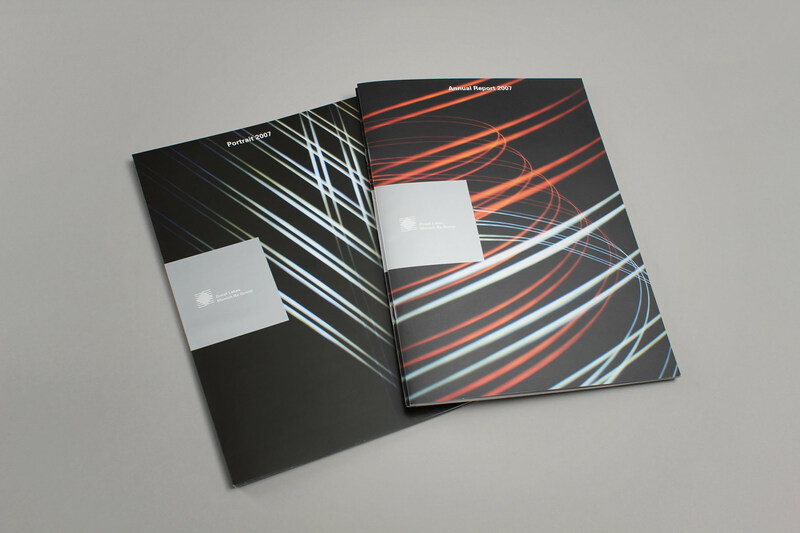 As part of our retainer, we were tasked to ensure that all marketing collateral adheres to brand guidelines produced out of Munich, while making the design more contemporary and appealing to an evolving marketplace. We supported the client in taking editorial direction and advise on pagination and flow. 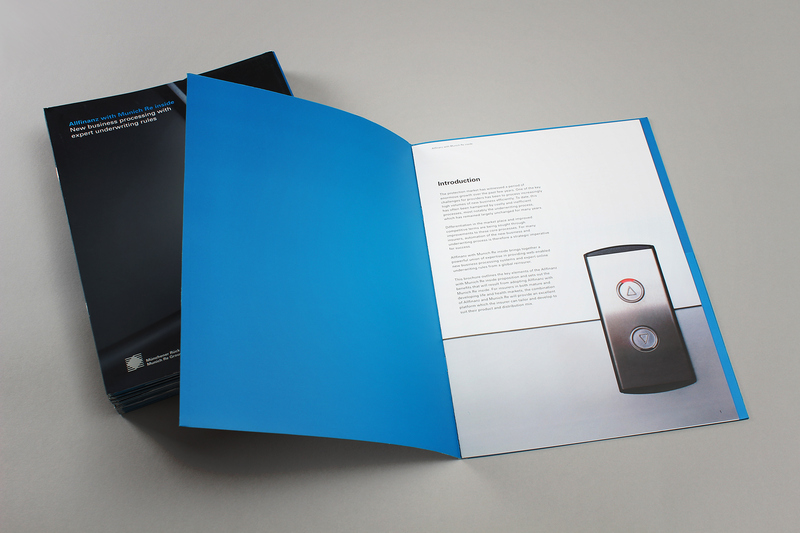 Firedog was tasked to inject a much needed premium design feel into the Munich Re corporate communications publications family. 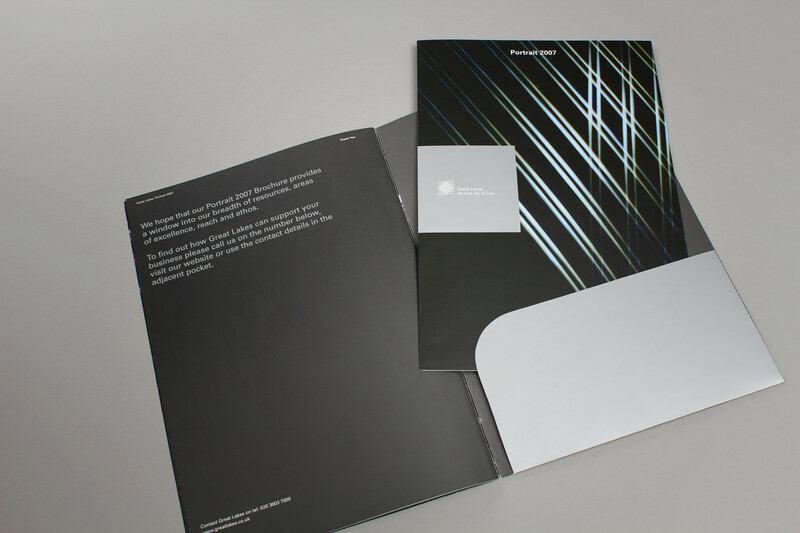 Working closely with the firm’s Headquarters in Munich and the recent brand guidelines, the revised design engages the reader’s interest and gives them more reason to hold on to and read the marketing collateral. 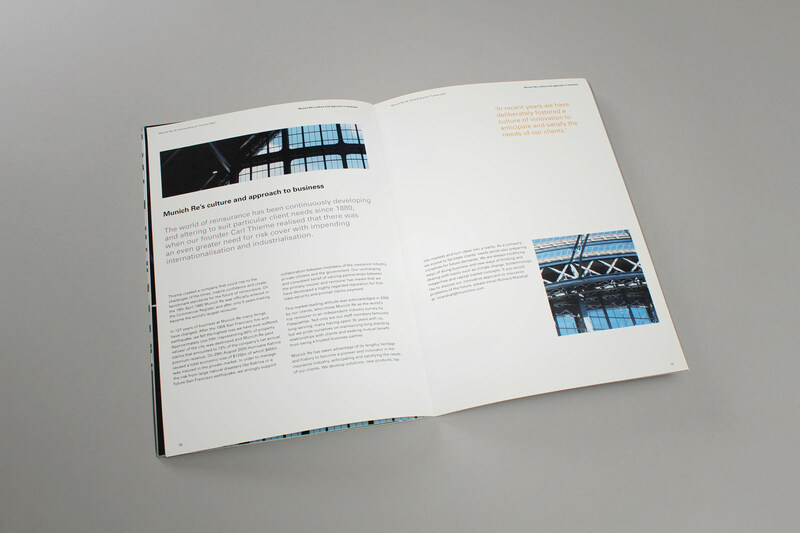 The outputs created a vibrant perception of Munich Re within a very traditional industry. We capitalised on the use of imagery in creating a lighter read, by using an abstracted graphic visual language in support of the more standard reinsurance content. 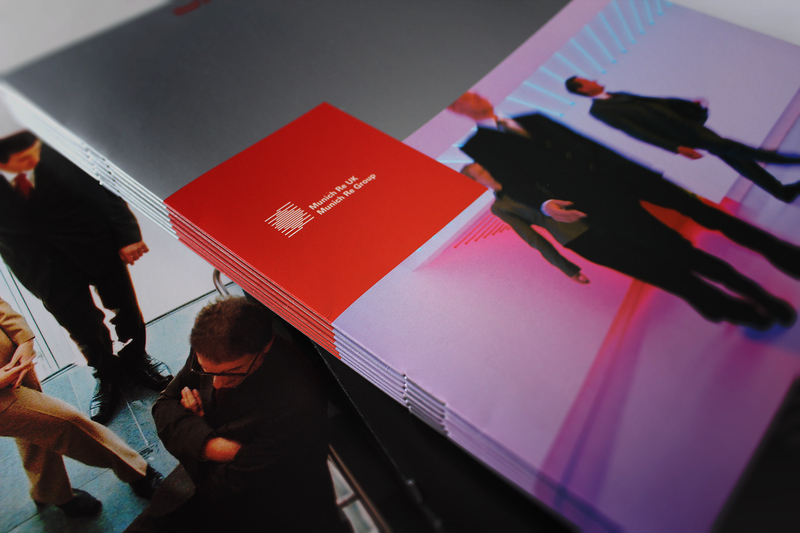 We also carefully balanced the use of colour so that the publications had a certain feel for each edition. Firedog has subsequently sent to press five editions of the internal communications brochure entitled Reflections and a comprehensive graduate brochure. Ultimately this has created a vibrant perception of Munich Re within a very traditional industry. The pioneering technology created by Allfinanz that is revolutionising the reinsurance industry had to be symbolised from start to finish. 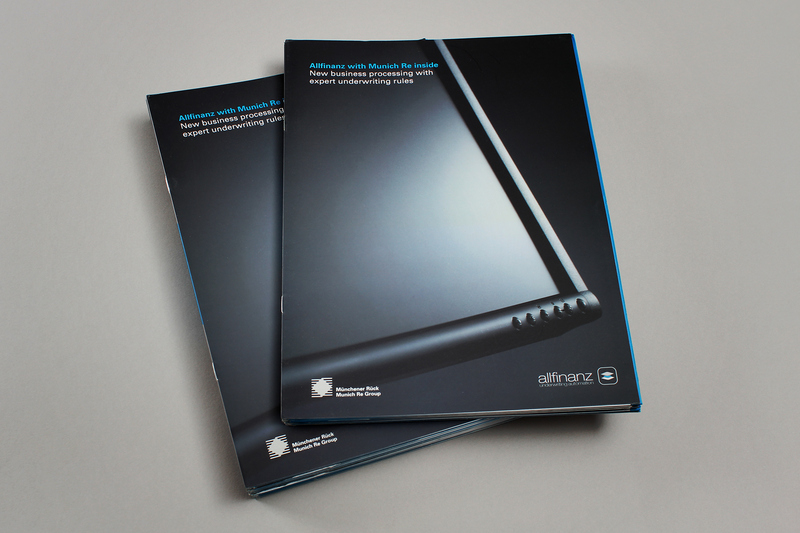 Firedog was asked to produce a brochure that would illustrate the new relationship that Munich Re enjoys with Allfinanz. The pioneering technology created by Allfinanz that is revolutionising the reinsurance industry had to be symbolised from start to finish. 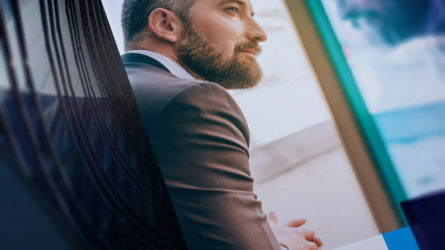 Firedog understood the most important element of the relationship with Allfinanz was how the technology is going to save Munich Re time and money in the long term. Therefore, we selected imagery of modern aspects of working life. Motion photography of a city landscape injected a sense of momentum, whilst zoomed in imagery of LCD’s and elevators reinforced the modern methodologies being adopted. Firedog was then responsible for the timely delivery of the print files that were urgently required in Shanghai. The brochure was given longevity by the use of a pocket that kept the employee information. If this needed to be updated, it was a simple case of replacing an A4 data sheet rather than replacing the entire publication.